Want to know where the best place to be on Saturday March 18th was? At The Observatory (Orange County) in Santa Ana for a sold out night with Dance Gavin Dance, CHON, Eidola, and Vasudeva on "The Robot With Human Hair vs. CHONzilla Tour". I am a big fan of all of these bands but my heart belonged to Eidola that night. Seeing them on this package was what drew me in. Having seen them play in small venues, I wanted to hear their full potential in a venue that has a clean and crisp sound system that allows them to properly showcase their music. 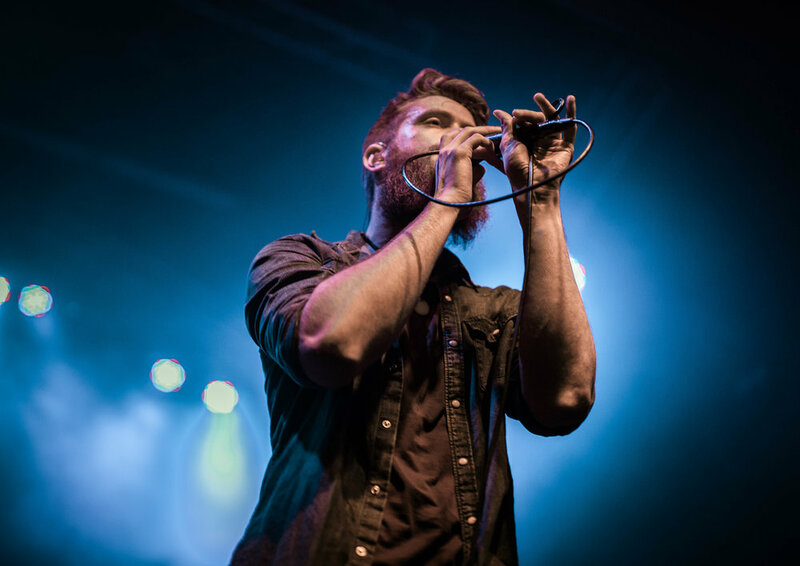 Eidola has a new album coming out this May titled “To Speak, To Listen” via Blue Swan Records. They played a few songs off it and shows that sound I love about Eidola is stronger than before. Heavier screams, cleaner and more soothing harmonies all on top of pedal filled frenetic guitar riffs. The rest of this album is definitely going to be on our top 10 albums of the year. Continuing through their set with favorites such as “Omni: First Temple,” Ediola certainly set the fun, ambient, and care free environment for the remaining acts to come. 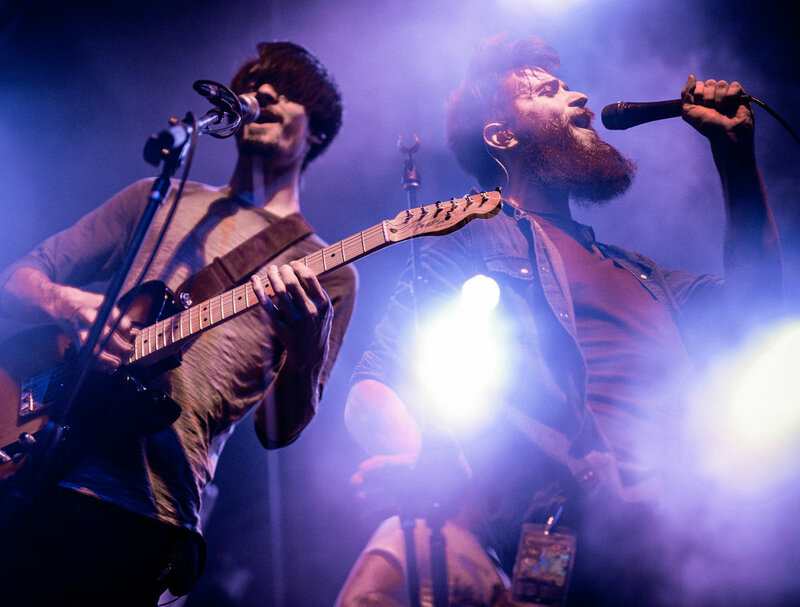 With more people moving around in the pit area and more people cheering, Eidola increased their fan based on this night by showing everyone they deserve that spot on that stage alongside the big names, Dance Gavin Dance and CHON. All in all for the night I’m glad I was able to make it in for this event. My goal for the night wasn’t so much based on how my photos turned out but more focused on really tuning into Eidola in that setting, like I said previously, one that showcases their music to its full potential. Unfortunately, this was the second to last night of the tour and this lineup came to an end the following night in Sacramento, CA. Be sure to stay connected with us at TandA Media for more news and coverage to come on EIDOLA this year.